When it comes to decorating your home, seeing those electrical cords is such an eyesore. Also, they are always get tangled as a result you are confused as to which cable is the right one for your device. Here are 10 easy ways to hide your electrical cords. If you prefer a more natural look, you can roll and glue jute twine around the cord to transform a former eyesore into a nice accent. For step by step instructions on how to do this you can visit The Vow. If you prefer a traditional feel it is best to use a strip of fabric to hide a cord. Find an attractive fabric and measure and cut the length that you need. With a few stitches you can create a fancy cord ruffle. For tutorial check out bystephanielynn.com. 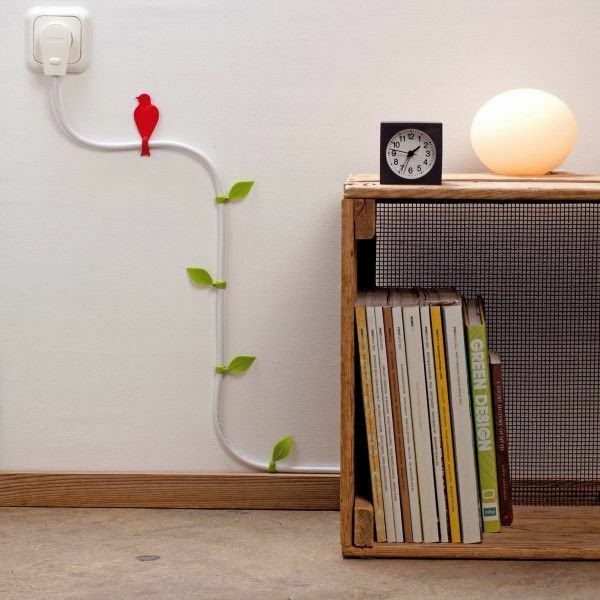 Make long cords visually appealing. You can use attractive clip ons to orgainze your cords. 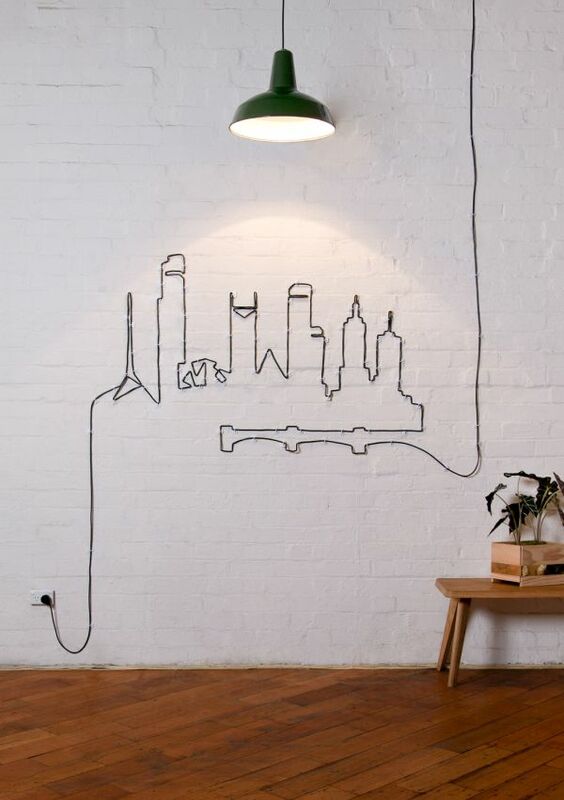 You can either attached it in your wall by creating a unique design using the cords or you can just clip them all together. You can also choose wire that will complement the color of your wall. So, if you have a blue wall then choose ball cord. If you need a larger storage capability, get a wire basket and four teacup hooks. Place the hooks under the desk or table and hang the wire basket to create a secret storage space for a single outlet strip. 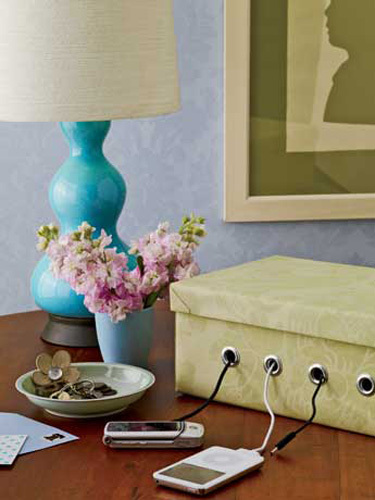 If you want to charge your devices near your bed, the best thing that you can do is make a charging station. You can use a table with a drawer. Create a hole in the back for the power strip cord. Now you can charge your devices in the drawer. You will not see those cords tangling on the floors or somewhere because they are all tucked away safely inside the drawer. Colorful cord management straps will not cost you that much. The price usually ranges fro $9 to $35. It is a simple and an easy way to organize your cords. Simply strap the wires together and tape them on the edges of your desk. Use colorful tape to make it look good.